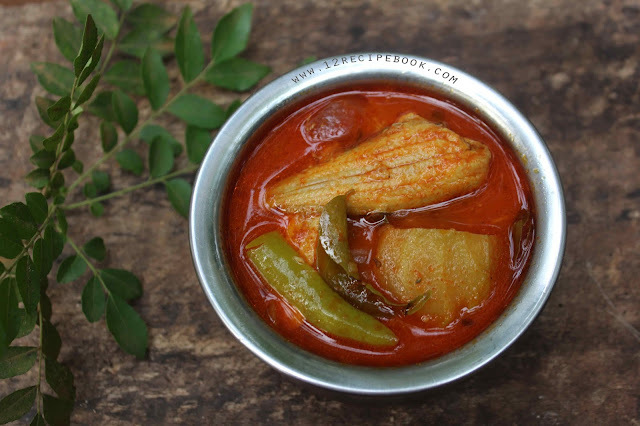 Most of the Kerala meal is incomplete without a fish curry in side. Here is a typical spicy red fish curry using raw mangoes. Use any fish for making this curry. 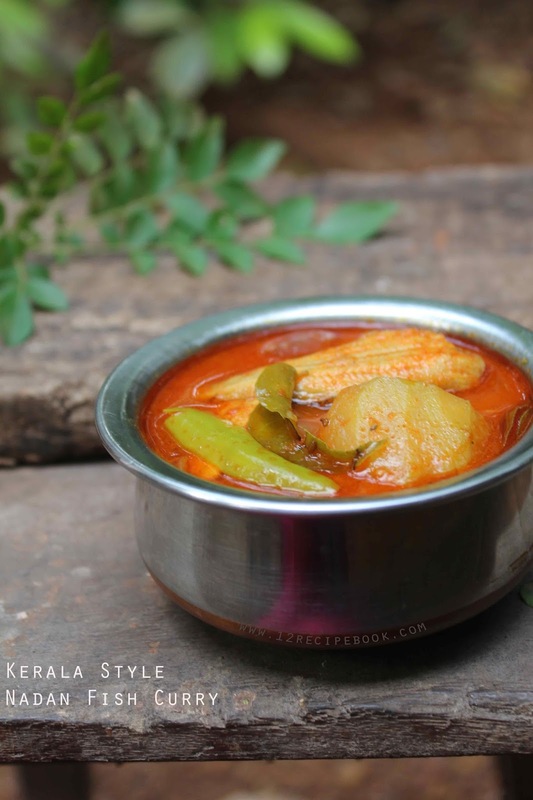 There are wide variety of fish curry recipes; and it is one of the most common and simple method. In an earthen pot add shallots, ginger, green chilli, turmeric powder, chilli powder, chopped toamto and salt. Add about 2 cups of water and boil the curry for 10-15 minutes on medium flame. Add raw mango pieces and boil for another two minutes. Add fish pieces and cook for another 5 minutes or until the fish gets cooked. Heat a tablespoon of coconut oil in another pan; splutter cumin seeds. Pour this seasoning over the curry and turn off heat. The curry tastes great for the next day of cooking. Use a combo of normal chilli powder and kashmiri chilli powder to reduce spice in your curry. If you need the curry to be more thick; Puree the tomato in it instead of chopping.